Sales of Mid-sized SUVs increased by 2% in the third quarter of 2016, similar to the second quarter and bringing the year-to-date increase to 1.359.559 sales and up 3%, which is still faster than the overall market. In the segment top-10, only three models lost volume, including the best selling model of the segment as the biggest loser of the top-10. The segment leader Ford Explorer remains untouched in pole position, but loses 12% of its volume, with the #2 Jeep Grand Cherokee closing in to within 600 units in September. In fact, if we deduct sales of the Police Interceptor SUV, the Explorer’s year-to-date lead over the Jeep would be reduced from 34.000 sales to less than 10.000. Despite its age (it’s in its fifth year on the market), the Grand Cherokee improved 11% in Q3, while sister model Dodge Durango was down 3% but still up 16% year-to-date. The Toyota Highlander consolidates its third place in the segment thanks to sales up 18% in Q3, while the Ford Edge in fourth place has stable sales. The Edge was outsold by the Hyundai Santa Fe (+21%) in the third quarter and will drop to #5 by year end if both models keep their current trends going. The all-new Honda Pilot still lost volume at -4% in Q3 but that’s lower than it’s been in the first half of the year. The Pilot lost its fifth spot to the Santa Fe and was also outsold by the Chevrolet Traverse (stable) and Toyota 4Runner (by 5 units), up 17% year-over-year. The Kia Sorento is down 10% and loses two positions, to its sister model Santa Fe and the Traverse. 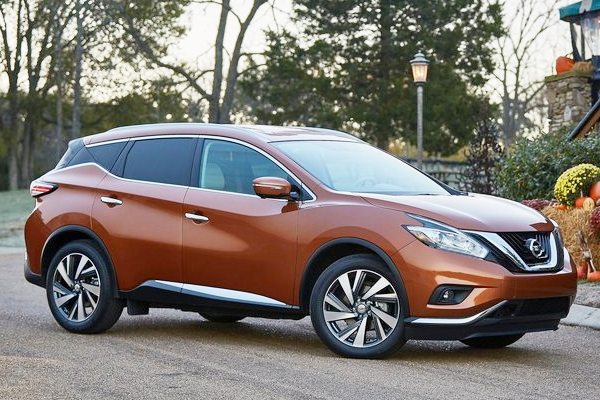 The fastest growing model of the segment is the Nissan Murano with an increase of 30%, leapfrogging the Nissan Pathfinder to enter the top-10. The GMC Acadia also outsold the Pathfinder in Q3 as well as the Dodge Durango and claims a position from the latter, despite losing 23% in the quarter as the next generation, smaller and lighter Acadia has already been revealed. The new generation Mazda CX-9 helps the model to a 21% increase in the third quarter, to reduce its year-to-date loss to 32%, from -60% in the first half.